Those new Magpul 870 stocks. I know I said I wasn’t digging them… But now I’m actually considering getting another 870, just for those stocks. I can’t really talk about it. But there is a possibility that Crusader Weaponry will be prominently featured in a TV show. This would involve relocating. Keep your fingers crossed. The new Winchester SXP Pump Action shotguns came in to the shop. The Black Shadows. Retailing at 349.99 for the 2 3/4″ and 399.99 for the 3.5″ guns. I’m pretty much a real jaded guy when it comes to new guns… Theses SXP’s have impressed me. I like the simple, but modern look. I like the feel. It has a grippy texture, light weight, and has a good balance. I don’t know if I like them better than an my beloved 870’s… but if I was in the market for a new Goose Cannon, I’d give these new Winchesters a good hard look. If I wasn’t such an 870 Fanboy, buying a pump action shotgun for the first time – This would probably be it. But I’m not into Goose Cannons, so these long tubed guns don’t interest me enough to get into them… but they are close. I am really interested in the Black Shadow Deer version as a dedicated Slugger. But give me the same gun with an extended feed tube, please. Speaking of a different version… can I get that gun with an 18″ smooth bore with an extended magazine? I’ll take one. Slipstream Styx just blew me away. I’ve said it before… Slipstream never fails to impress me. I’ve been running my Glock 23 on a diet of Slipstream since I first got it. About the time of the Gun Dude’s hosting of the MAG-40 class, I stopped oiling it. Didn’t need it anymore. Hasn’t needed it since. Well, Gundoc sent me a bottle of each. The regular Slipstream Oil, and a bottle of the new Slipstream Styx. Just for fun, on a whim, I decided to slap a little Styx in my good old Glock 23. Holy crap! Smooth doesn’t describe this… It’s… it’s… creamy. I don’t know how to describe this… I’ve never felt a Glock like this before. Beretta’s, yes. Custom 1911’s, yes. This is next level Glock slickness right there. Check this out. Crazy power from such a tiny little round. Molly is nice. We like Molly. This is a Molly we can get behind. This is a Moly really don’t like. Moly in Firearms has been a popular topic of debate in the Gunverse. It has good lubrication properties, but it also has some problems. The main problem that I’ve seen is that molybdenum disulfide offers a road into the metal for corrosion. Moly is hydroscopic. This means it attracts and retains moisture right out of the air. Moisture will attract grit as well, and this can increase the friction you are trying to get rid of. This is less than ideal. This was explained to me by the late Gale McMillan. So if you are going to argue with him, you had best know more about rifle accuracy than him. 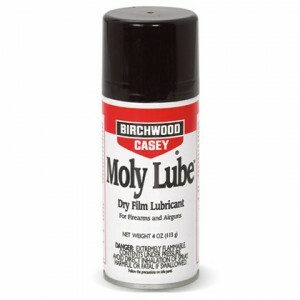 A lot of people are using Moly on their bullets. This can increase velocity, help accuracy… and that’s a good thing. Probably the best use of Moly when it comes to firearms. Unfortunately Moly gets hard (it’s a crystalline mineral after all) and builds up. This leads to problems, reduced accuracy, and irregular bore wear… which can ruin your rifle. I’ve got a lot of emails from people who are guessing that Slipstream is Moly. Gundoc put it best. “Moly is for Chumps.” No. We do not use Graphite or Moly. Or a Mixture of the two. We don’t like Moly. Molly however… Shivers our Timbers.